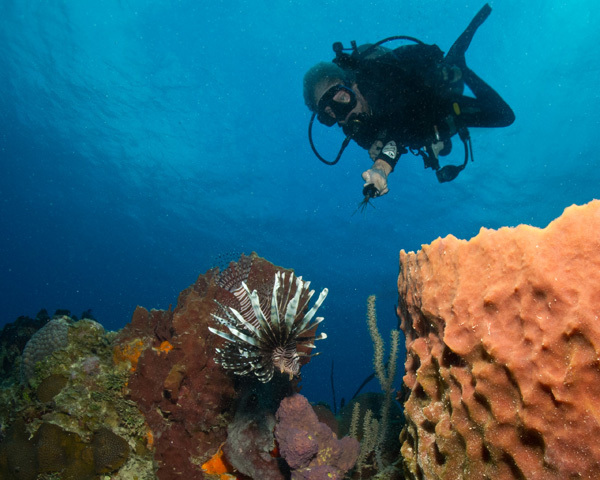 Now offering afternoon Lionfish Hunt dives! 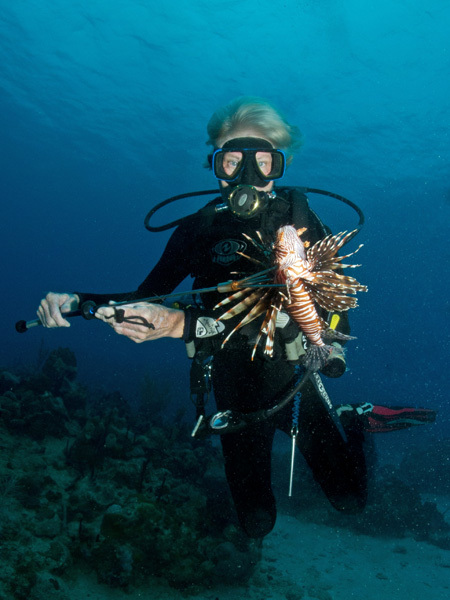 Inquire in the shop for details and schedule a lionfish hunt for you or your group. Michelle nabs a big one! Shoot them anyway you want! Now, trim those poisonous spines and fry it up for dinner!